Rumors about a Galaxy Nexus 2 have been the talk of the town lately and CarPhone Warehouse employees must be curious as ourselves. 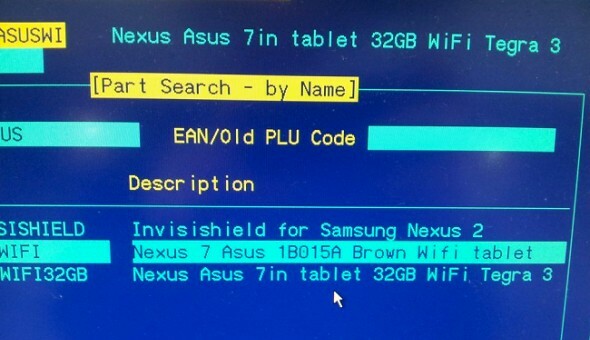 The following shot from the inventory system of the British retailer show us what might be an accessory for a Galaxy Nexus 2 and a 32GB version of the Nexus 7. For all we know, this may not mean much. The listed screen protector may just be a second version of the Invisishield kit for the original Nexus. The Nexus 7 tablet has not been announced in a 32GB flavor so far and the presence of a 32GB variant may as well be just a placeholder for such a product should it arrive some day. That's just how these retail chains operate. But still, these days our over-eager geeky eyes would savagely feast on anything that has even a remote mention of a new Nexus. And we can't help sharing this with you. I also happen to work for CPW and none of the listed items are new.